Now-a-days we are seeing "Go Green" slogans every where. Yearly, millions of trees are cut-down to prepare paper which is used for various purpose in our daily life. This is leading to global warming and earth is under risk. We need to search various ways to save paper and utilise it efficiently. 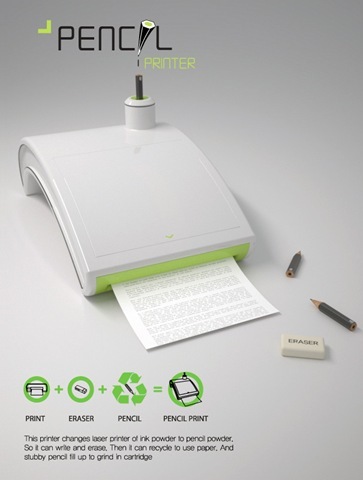 Pencil printer is one of such amazing printer which uses pencil to print your documents. Yes, using pencil lead, your documents will be printed. If you find any error in your documents feel free to use eraser to correct it. Second advantage of this printer is erasing whole pencil paper. 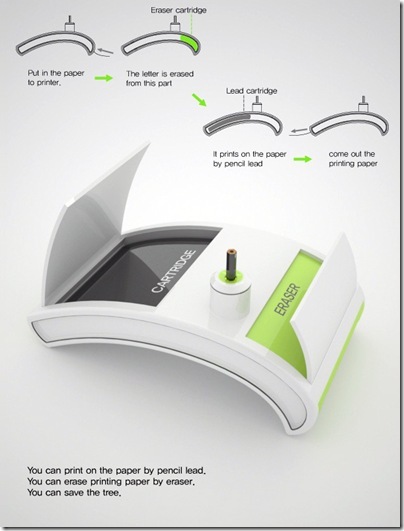 Input a printout printed using pencil printer on one side of pencil printer, wait on other side to collect while paper. This is amazing isn't ? I hope this product becomes more radical to save lot of trees in the world. 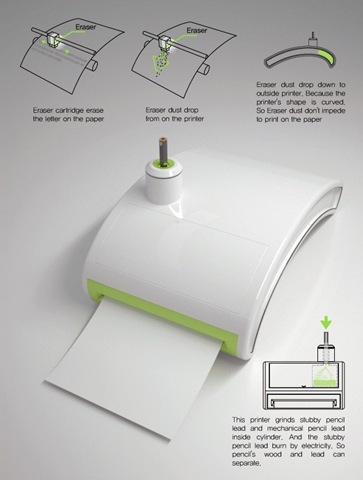 This is awesome, good luck using Printer Cartridges.